"Sometimes you need hard. If we're going to beat really good teams, if we're going to be able to compete, we've got to learn how to compete in close games. Where every player counts...where you've got to play every play for 60 minutes in the game...every third down is important. There's lots of opportunities in critical situations in the game for players to make plays. And we don't always have that when we win 49-0." From time to time I will take the opportunity to review and recommend a book to coaches. I don't do this lightly. 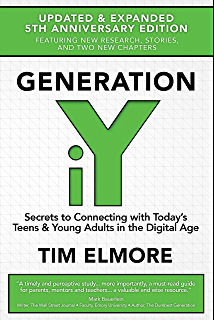 Having said that, there are few books I would recommend more strongly to those coaching and teaching today than "iY Generation: Secrets to Connecting with Today's Teens and Young People in a Digital Age." The book, written by Tim Elmore, was brought to my attention by Georgia Head Coach, Joni Taylor. How good was the book? I took 41 typed pages of notes! I spent a couple of days on the road with Mike Neighbors talking about the book and the challenge of teaching millennials. I went as far as to invite Mike to speak at our Coaching Academy this fall on the subject. P.S. - If you haven't already subscribed to Elmore's email blog you are missing out on information that can be extremely beneficial to helping your team! Listening to Buzz Williams this summer at Texas Association of Basketball Coaches, he made the comment, "Don't be that coach that complains about how difficult it is to coach this generation." His challenge was for us to adjust...think outside the box in an attempt to be better teachers. Elmore's book, in my opinion is an absolute must read for anyone coaching and teaching. He goes into great detail as to how and why today's young people are wired the way they are today. He then gives thoughts and concepts to help us to bridge the gap and maximize out ability to impact our players and teams. Elmore states that this generation isn't one uses facts before making decisions. In fact, he says, "hey would rather join and belong to a small affinity group before they embrace the beliefs of that group." Quite simply Elmore says "If you want to seize the attention of students today, plan to give them a reason for why they need to listen to your words." Elmore explains that today's youth aren't really looking for experts..."especially if they are plastic or untouchable." A strong example he gave? "When students were recently asked about their heroes, for the first in over 20 years they did not list an athlete at the top of the list. Their number one response was Mom or Dad. They hunger for more relationship than for information—even relevant information." Elmore also delves into the instant gratification syndrome that many millennials have -- the microwave philosophy of now. From Elmore: "I find many characteristics of Generation iY healthy and fascinating. However one may cause trouble for them later in life. For students today, almost everything comes instantly. They don’t like waiting for anything. 'Pay now, play later' mentality tends to be foreign. Results have to come quickly, or they may lose interest." Elmore also points out another characteristic of iY Generation: "Millennials love to use any means possible to get what they want—the internet, cell phones, IMs, or purchasing music for their iPods. At the same time, they tend to be very weary of anyone they suspect of trying to use them." What the millennials see today: "The expectations of students get higher and higher with each decade." One other statement from Elmore in this section that is critical for us as teachers to understand: "To connect and influence Generation iY, we’ll likely have to adjust to them." The following is my favorite passage from the book "The Last Arrow," by Edwin Raphael McManus. 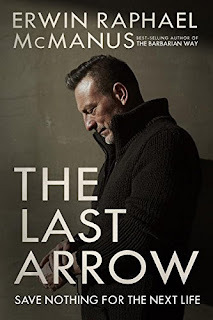 The book is an emotion read as McManus and he was on his way to completing the book was diagnosed with cancer. It is incredibly well written with the thesis of time and what we are doing with it. 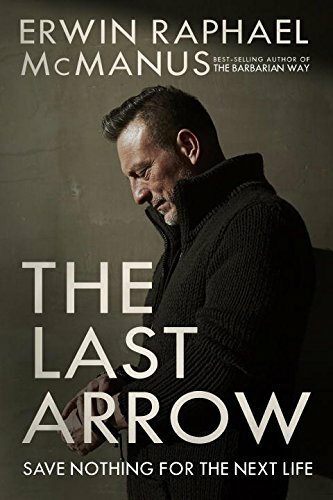 It's about giving life your best, until you've used that "last arrow." Time seduces us into believing that it is the one friend who will never run out on us, but the cruel truth is that it always does. It would not be unfair to say that time lies to us. It tricks us into believing that we can wait until tomorrow to do the things we should have done yesterday. And while I find an endless number of reasons why people leave things in life undone, I find one unifying characteristic of those who leave nothing for the next life: a sense of urgency. Success is a tyrant that will enslave you just as quickly as failure. If you let success own you, you will find yourself trapped by your success and terrified by the possibility of failure. Success will lie to you and tell you that your future is just an extension of your past, when at its best, success is simply preparation for new challenges. Every day you will have to choose between living in the past, staying in the present, or creating a future. The great danger lies in that the easy path is to hold on to what you know, cling to what you have, and make the future an extension of the past. Though there is no way to stop time, you have to choose the future. Although you are grounded in the past, you must not be grounded by the past. And while tomorrow is coming regardless of what you do, the future comes because of what you do. Greatness is a gift given to individuals by those who choose to surround them with their own greatness. Let me repeat myself: no great endeavor has ever been accomplished alone. Yet this realization does not diminish the greatness of the individuals we hold up as inspirations to us all. The fact that personal greatness is never achieved alone, the fact that personal greatness is always the sum total of the hard work and deep commitment of an untold number of people, does not in any way diminish the grandeur of an individual’s accomplishments. In fact, it elevates it. It’s much easier to do something yourself. It takes so much more work, it demands so much of yourself, to create an environment where highly talented, skilled, and intelligent people can work together for a common goal. If anything, this is the true genius behind all greatness. It is most certainly true when we are dealing with sustained greatness. What I’ve observed over the years is that all of us can have moments of greatness and glimpses of greatness, but what seems so unattainable is sustaining the level of commitment, resolve, and quality that achieves sustained greatness. That is why I am always fascinated by those who not only accomplish something extraordinary once but do it over and over again. Striking the last arrow is not only about seizing every opportunity; it is also about being the right person at the right moment. The moment requires action or even reaction. Those moments and actions are informed and fueled by who we are. The best way to ensure that you will seize every action or even reaction. Those moments and actions are informed and fueled by who we are. The best way to ensure that you will seize every opportunity is to be the best expression of who you are. I've just finished read "Teammate" by David Ross and my friend Don Yaeger. I've spoke to my friends who love baseball and they love this book -- with good reason. You get a great insight into the career of Ross but more importantly a peak in the dugout and clubhouse of the Chicago Cubs World Series run. For me, I was fascinated with the title of the book and some of the thoughts regarding being a good teammate. I think good teammates have a high level of self-awareness. If you are self-aware, you have a better chance of focusing on the moment, you have a better chance of processing information. If you know yourself and are able to make adjustments, you will improve as a player, or have the potential to help those around you improve, because you understand the. Self-awareness is tied to authenticity. People who lack self-awareness tend to be more narcissistic because they can’t truly read themselves. Whether I was scheduled to play on a given day or not, I always tried to bring my personality and my energy to the ballpark. That was a very important part of being a good teammate to me. If I didn’t have my energy that day, it was difficult to invest in the team. If I was dragging or not into that day, I hurt the team And my teammates expected it of me. As a veteran if I was not checked in at all times, it took away from my credibility. It would be hard to criticize a teammate and be respected. I think that’s important from a manager and as a professional baseball player—you’ve got to be the same guy every day. Everyone has good and bad days and mood swings. I did too. But I tried to be the same guy every day that I went to the field. And again, teammates aren't great because they have an amazing stat line. As Ross says below, it's not "about numbers." Being a good teammate and leader, in the long run, wasn’t about numbers. It was about presence and how you were perceived by the rest of the group. That’s what mattered most. Talent is part of the equation, but when you combine talent with accountability and authenticity, it is tough to beat. A lot more to this book on Ross' thought of being a great teammate and how he actually grew into that role. Many years ago at a clinic, I heard Kelvin Sampson say "Most coaches are excited about practice the first couple of weeks. Then they get tired or bored. The best coaches know how to stay locked in." I think this is just as true for players as it is coaches -- though often the players may take the lead from the coaching staff in terms of their energy and enthusiasm. It is not enough to write up a practice plan and than go about executing it. You need to give thought to the placement of drills, the length of a workout and the strategic (yes, I said strategic) schedule of off days. What are you doing to keep your team inspired and excited about practice? 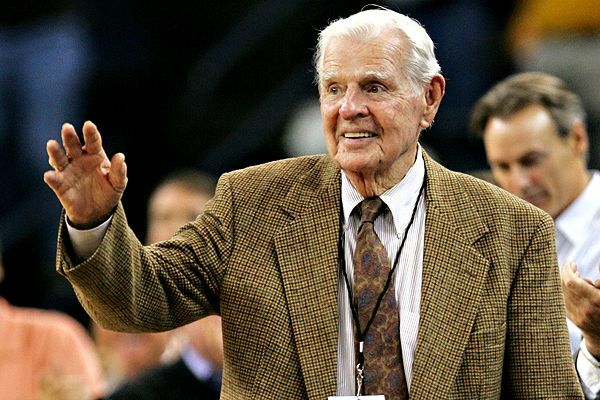 John Wooden was a huge believer in make sure practice ended on a positive note. "Give them a reason to want to come back tomorrow," he once told me. Don Meyer once talked about a 30 win season in which he could sleep because he'd lay away all night trying to figure out how he was going to his team "an edge the next day in practice." Sometimes we think inspiration is about getting teams emotionally ready to play a game. But you better find away to get that same result out of your practices. 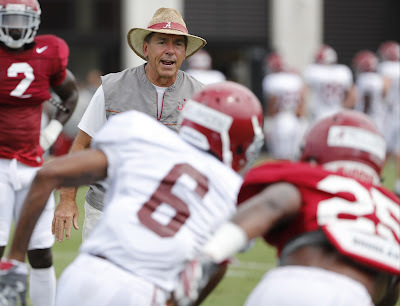 Nick Saban is a master at keeping his players locked in. Here is an older post where Coach Saban came up with a plan of putting responsibility on key players. In a press conference this week, Saban said he "created some tension" among his team in practice which is something he likes to do. Are bringing someone in occasionally to speak to them? Letting them here a different voice and even a different perspective can be incredibly beneficial. Once again, an older post on Coach Saban and how he used speakers with his team. My point is getting your team ready shouldn't just apply to games -- but importantly, apply to practices. 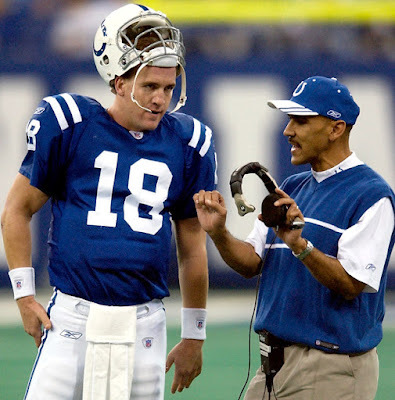 "The Mentor Leader" by Tony Dungy is an incredible book that will benefit any coach of any sport on any level. In fact, the book transcends coaching. But in regard to the world of athletics, it is a great book for a head coach looking to mentor assistant coaches and players as well as for assistant coaches looking to mentor players. "Teamwork doesn't tolerate the inconvenience of distance." I believe it is critical for mentor leaders to engage with those they lead. It's impossible to mentor from a distance. Without engagement, you cannot lead effectively. You cannot mentor with empathy. You cannot inspire people to new heights and lift them to a better place in their lives. If you do not engage with those you serve, you will never understand them or know enough about them to be able to have a positive effect in their lives. "Good teachers help every student earn an A." Education is an essential building block of mentor leadership. Workers who are new to a task cannot be empowered and elevated until they've been educated in what to to. First things first. "Our job as a coaching staff is to show you what to do and how to do it. Your job as players is to do it consistently." Mentor leaders create an environment in which others can be productive and excel. They set the parameters and guidelines for the task, project and continually recast the vision, and then provide the tools and equipment needed for everyone to be successful in their assignment and to ultimately accomplish their mission. In essence, they strive to furnish what is needed for the task -- physically, mentally, emotionally, and spiritually -- and to accomplish the mission. Encouragement is the fuel that powers our efforts to engage, educate, and equip. Nothing does more to lubricate the rough spots than a good dose of encouragement. Mentor leaders care. Mentor leaders lift others up. Mentor leaders encourage. "As we look ahead...leaders will be those who empower others." Once the people you lead are ready, it's time to turn them loose. But not before they're ready. As a mentor leader, you have a responsibility to engage, educate, equip, and encourage them first -- and at every appropriate point thereafter, as well. You can't just walk in and empower them. If they're not ready, you're only setting them up to fail. "Without inspiration, the best powers of the mind are dormant. There is a tinder in us which needs to be quickened with sparks." Great leaders energize and inspire those they lead. Even as they face their own daily struggles and stresses, mentor leaders look for ways to energize and motivate the people around them. "Teamwork: Simply state, it is less me and more we." Many leaders struggle with this essential concept. Elevating is difficult. It seems paradoxical to elevate someone who might end up taking your place. But raising up leaders is the truly self-less goal of every mentor leader, the culmination of focusing on others. To elevate your followers means to help them reach their God-given potential, even it means preparing them to replace you. It may also mean that you prepare them to leave your organization for better opportunities elsewhere -- perhaps even with your competitors. ◄What are you doing tomorrow? ◄Have you learned all the steps on your journey? ◄Or are you just going through the journey and not learning? Question to ask yourself: Can you sign the players on your team now? 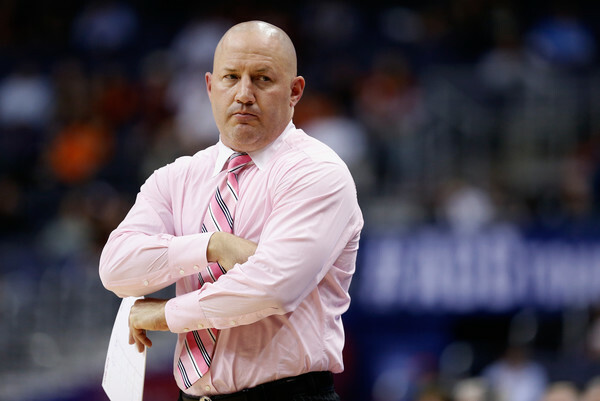 ◄You better be able to if you want your Head Coach to hire you as an assistant. Do what you’re supposed to do, every day. You conversations are your personal advertisers! ◄Don’t ever talk down to someone. Always (ALWAYS) talk UP to people. ◄Introduce yourself, have confidence, and make an impression. ◄They are going to form an impression of you anyways, so control that impression! Study those books, and build those relationships! Study both success and study failures! ◄At what point did they fail? Walk around like you have a black eye every day! The game is pure inside the lines! ◄When the ball goes up, you can’t hide. ◄You better be ready, because the game is coming. God blesses the intent of our heart. Be a servant to the staff. You should never be beaten because your team was not in better condition than your opponent. This refers to shooting balance, team balance (all five players included in system), floor balance, defensive balance and rebound balance. 1. Attack: Whether it’s coming off the rim or out of the net, they are attacking and getting the ball down the floor as quickly as they can to put pressure on the defense. They want GREAT shots early in the clock. Few firmly believes that an open three early is often as good of a look as you’ll get all possession. 3. Limit Turnovers: Worst thing you can do offensively is turn it over because it allows you no chance for an offensive rebound or a chance to go to the FT line. You can’t be tired and you can’t be bored. It’s not easy getting better. It takes work and discipline. We have a choice of pain of discipline or pain of regret. •Maximum intensity on every repetition. •Focus on every repetition - we’re going to take one shot 500 times. •Becoming a good shooter is lots of reps.
•Becoming a great shooter is lots of reps at game speed from game spots at a game angle. •It takes two minutes to show any skill. •It takes two weeks doing it every single day to get comfortable with the skill. •It takes two months working on a skill everyday to get good enough to execute in a game. •Be ready on the catch. •Ten toes to the rim (if you have ten toes to the rim you will be square to the basket). •Only change his form if the shot doesn’t go in. Make him the best worst form shooter. •Two second rule: As soon as it’s 1 cm into our players fingers I’m counting one two. Players don’t have a great understanding of game speed when working out. •The better the shooter you are, the better your shot fake needs to be. Definition of a shot fake is a real shot that you don’t shoot. •Shoot free-throws until you miss, and count how many in a row. •Players tend to fall forward rather than backward. •When you chart your players’ shots give them percentages for free-throws, lay-ups, jump shots and three-point shots. •Break it down so they know what to work on. •Players can be receptive to stats. •You will be surprised how little your guys shoot during practice when you exclude shooting drills. •During an hour pickup we shoot on average 12.8 shots per player. •Average number of shots taken in a game is 16 per player. •A coach can never get bored. 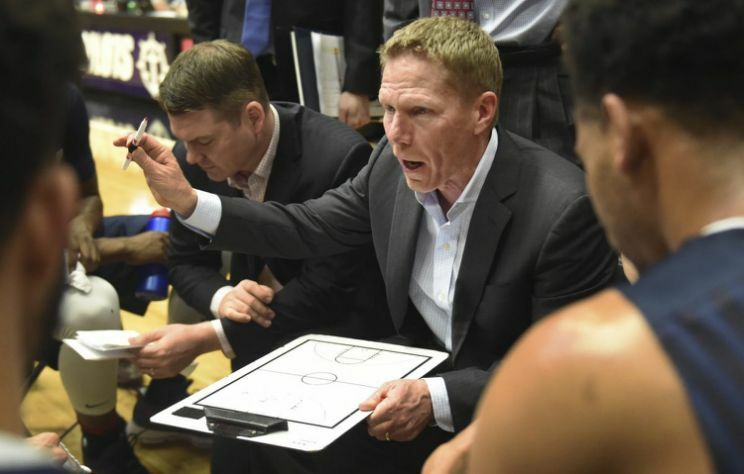 •The intensity that a coach brings to the floor helps the player have a more intense workout. •Coaches have body language too. 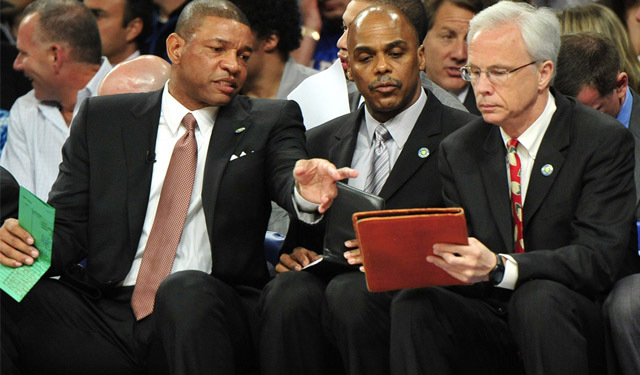 Be careful of your body language, and how it could be interpreted by your players. •It can create a career. •It can improve a career. •It can revitalize a career. If you ever heard Coach Don Meyer speak, he would at some point ask you, “who’s running your locker room?” It is in incredibly important question. 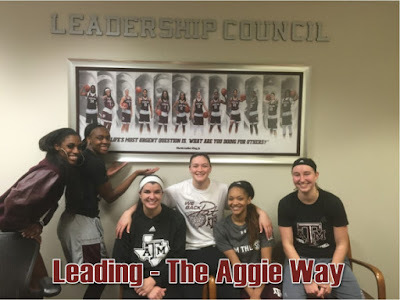 While coaches have an opportunity to lead their team during practice sessions, team meetings and games, it is all the time away from the coaches where leadership is most valuable. I learned this at LSU while coaching Temeka Johnson who did an amazing job of leading our team the 21 hours out of the day when we weren’t around them. The locker room, or anyplace away from the court and the coaches, can be a place to strengthen and secure your culture, or it can be a toxic area that create cancers within your team. They key is being able to find the right team members, educating them on leadership, and then giving them a venue to which they positively effect their teammates. We are not talking about "captains" necessarily. As Coach Meyer would also point out, "you can pick captains, but you can't pick leaders." 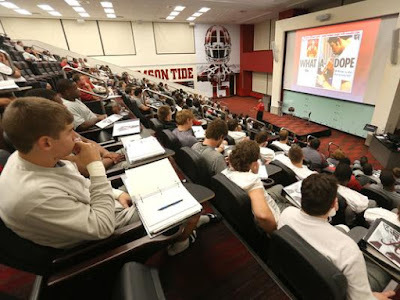 I got the idea of having a Leadership Council watching and studying how Nick Saban, then the head football coach at LSU, created one and utilized in his program. I'm a big believer that leadership is a best executed with a group of core leaders as opposed to a single person. This biggest part of our Leadership Council is not me preaching but me listening a lot. We have six members this year on our council and my number one goal is to create ownership of our culture with our team. It’s their vehicle…they have the keys…now where and how are we going to drive it. Their voice, thoughts and ideas are critical to developing successful leaders — not just for our basketball team but for later in life. #1 To develop and improve upon our leadership as individuals. 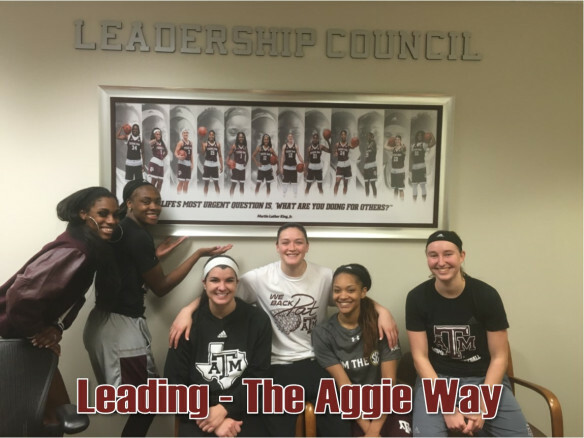 #2 To create a leadership culture that will positively impact our team. Last year’s council included Taylor Cooper, Alyssa Michalke, Curtyce Knox, Jasmine Lumpkin, Anriel Howard and Danni Williams. And our council last year was been outstanding. The previous year we had lost three starters — all who spent some time in the WNBA. We lost the SEC 6th Person Player of the Year and our top post player off the bench. Coaches and sportswriters alike pegged us to finish in the lower half of the SEC. Terms like “rebuilding” were used often. Yet there we were finishing in the top half of the SEC, winning two games in the SEC tournament, owner of 21 regular season victories and a dance ticket to the NCAA Tournament. And a big reason had to be the job our council has done in communicating with our team and providing a great example. The season can be a grind and the response of a team to the difficulty and adversity that is face is essential. We talk about making sure that our leadership council wins the locker room. The leadership is magnified significantly AWAY from practices and games. We meet weekly in our conference room with the letters “Leadership Council” above us. In the past, we have had individual photos of each member of the council. This year, we exchanged that for a team photo with the quote “Life’s most urgent question is what are you doing for others,” by Dr. Martin Luther King. Learning to lead is not an easy thing to do. It takes time and understanding of what goes into it. The reason most reject opportunities to lead is because of the great responsibility that comes with it. By serving selflessly as leaders, setting an example worth following, and establishing a positive culture, we will develop strong, confident leaders capable of overcoming adversity and challenges in pursuit of their goals. One of the things we do each we is discuss passages from “The Daily Reader” by John Maxwell. 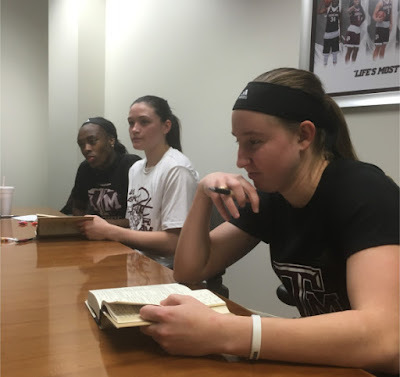 I am always blown away with each our student-athletes and what they bring away from the daily reading that they choose to share. 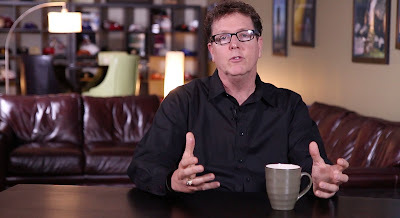 ◄Body language, tone, execution during practice, etc. ◄Behave appropriately, respectfully, and maturely at all times, including road trips, study hall, team dinners, etc. ◄Of course, as in the game of basketball itself, game plans are important but they are insignificant if not followed by execution. What an amazing document! I’m proud of them for their vision but more importantly for their effort they’ve put forth in executing that vision and then following through with their execution. Thank you Leadership Council for a job well done — and more importantly, leaving a legacy for this year's group. The following comes from a lecture I gave at A Step Up Assistant Coaching Symposium several years ago. 1. What does your team need for your players to do well? CONCEPT #1: Don’t just work on your players’ weaknesses — stretch and further develop their strengths. CONCEPT #2: Maximize individual workout time...don’t just work on fundamentals, work on relationships. CONCEPT #3: Measure when you can...stats can help. CONCEPT #4: Always utilize video when possible. CONCEPT #5: Sometimes skill development needs to be in a team setting as opposed to individual. CONCEPT #6: Singleness of purpose will create quicker improvement, confidence. CONCEPT #8: Break down the whole and create a part-method drill. Vision is a very encompassing matter. A good perimeter player does more than just see her teammates, she also sees the defense. This particular type of vision allows the good perimeter player to make the proper decisions with the basketball. A good perimeter player knows what she does well and works hard to get in position to take advantage of those skills and fundamentals. Just as important however, is the fact that a good perimeter player knows what her limitations are, her weaknesses, and stays away from them. This is very difficult for the average perimeter player, and in fact, it is a rare quality usually found in the best perimeter players. That special type of perimeter player knows who the best shooters are on the team and tries to get them the ball when they are open. She knows who the best posters are and feeds them the ball. She knows who has trouble dribbling the ball and doesn’t pass them the ball when it might put them in a dribbling situation. The good perimeter player knows when to push the ball up and when to hold it up. She knows when to attack the basket and when to reverse the ball. She is prepared to play at whatever speed is necessary for her team to be successful. Whether she is dribbling, passing, or holding the ball, she is going to be strong. She is not going to let the defender rush her into a mistake. The best perimeter players never let anything upset them. They don’t let the crowd affect their play; they don’t let the other team affect their play; and they don’t let any breakdowns by their teammates affect their play. We want players that are warriors in the weight room. This is an area that you as a coach must be committed to as much as the players. Players know what is important to a coaching staff. Working hard in the weight room doesn’t mean that we are interested in huge muscle bound athletes. We are interested in developing upper body strength and explosiveness from the lower body. We expect our perimeter players to be able to outrun the opposing perimeter players down the court for fast break opportunities. And, just as important, we expect our perimeter players to be able to outrun the opposing perimeter players and be in good defensive position in defensive transition. In our motion offense, our perimeter players are constantly moving. We are always telling them, “be hard to guard.” All of this demands a supremely physically conditioned athlete. We expect our perimeter players to be able to “think” the game. Again, because of our motion offense, our perimeter players are expected to constantly make decisions while on the floor. When and who to screen, when to pass, and when to dribble are just some of the instant decisions we expect them to make. Equally, because we utilize scouting reports, they must know which particular player they are defending and how to defend them. Obviously, to be a warrior in the weight room, a supremely physically conditioned athlete, and a mentally prepared basketball player, you must first possess a great work ethic. We demand a lot from a our perimeter players and the truly good ones are not afraid to work. To be a top-flight player, a good work ethic is a year round necessity. I've enjoyed reading 4th And Goal Every Day by Phil Savage. Savage isn't just a writer -- he is a former NFL assistant coach and general manager who has worked with some of the games best coaches. Add to that his current position as radio color analyst for Alabama football and you have a very unique set of eyes on the Crimson Tide football program and the championship philosophy of Nick Saban. Savage chose the title 4th And Goal Every Day because he felt it summed up the mindset in the Bama program -- a constant sense of urgency. Alabama does not care so much "what" a high school player is doing on the field. It cares more about "how" a player is doing it. There is a big difference. What he is doing might look dominant against high school players, but how he is doing it -- athleticism, instinct, explosiveness -- might show his further potential. Nick Saban would rather take a guy with "tools" in his body that have not yet bloomed over a high school player who is "an effort guy" making twenty-five tackles through willpower. Saban thinks he can coach the player with tools so that his pure ability will allow him to far surpass the results of the overachiever with limited skills. Recruiting is significant, but what they do best at Alabama is player development. Talk to any NFL scout and he will tell you that the Alabama practice field resembles a pro camp more than any other college program in the country. The drills and techniques being taught in Tuscaloosa are the same ones used during the week by NFL players who slip on the pads for the Sunday games. The Crimson Tide soaks its players in film work, fundamentals, repetition, and patience. If you love football, this is an outstanding book with Savage going into the details of teaching, coaching, evaluating and giving great stories to support those areas. But it's also a great book for coaches who want an inside look at one of the best.